Manchester United are no nearer to convincing David de Gea to stay at Old Trafford. United are in talks with Juan Mata, Ander Herrera and Ashley Young over extensions to their contracts, which expire next summer, and are confident of agreeing new deals for the trio. But De Gea is reluctant to commit to another contract while United are struggling so badly on the pitch and the Spain goalkeeper could leave on a free transfer at the end of next season, unless the club are forced to cash in before then should they fail to achieve a breakthrough in negotiations. 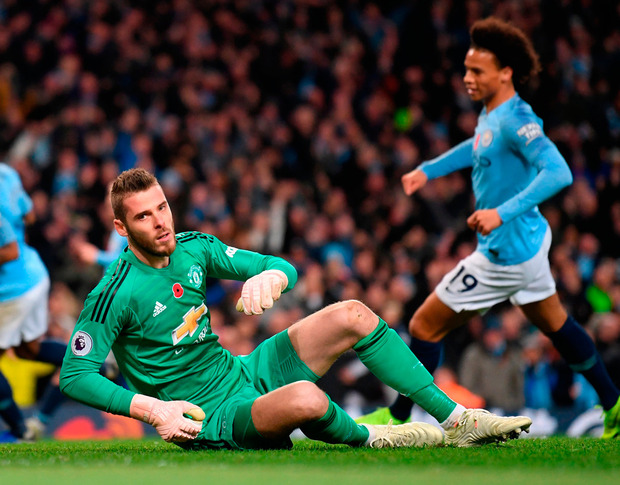 De Gea is one of eight players whose contracts expire next summer but on whom United have options to extend for a further 12 months to June 2020. Defenders Antonio Valencia, Chris Smalling, Phil Jones and Matteo Darmian, midfielder Andreas Pereira and forwards Anthony Martial and James Wilson complete that list. Martial has been offered a new five-year deal and United are hopeful the France striker will sign it following a return to form and favour under manager Jose Mourinho, who was willing to offload the 22-year-old in the summer. But De Gea’s position is becoming an increasing cause for concern with talks are a over deal still at a deadlock, despite United’s willingness to offer him around £275,000 a week. De Gea turned 28 last week and he wants to be competing for the biggest trophies as he prepares to enter what are likely to be his peak years. His one and only Premier League winners’ medal came in Sir Alex Ferguson’s final season in 2012/13 and he is concerned United look further away than ever from competing for that trophy. The 3-1 derby defeat to Manchester City on Sunday left United languishing in eighth, 12 points behind Pep Guardiola’s leaders, and seven points adrift of fourth place and Champions League qualification. United have failed to qualify for the Champions League twice since Ferguson retired and have not got close to winning the European Cup since De Gea moved to Old Trafford from Atlético Madrid in June 2011. Juventus lack a world-class goalkeeper and are known to be keeping a close watch on De Gea’s situation and other clubs are likely to take an interest the longer his contract runs down. United are desperate to keep De Gea but may be faced with a very hard decision if they get to next summer having failed to agree new terms given that the prospect of losing such a valuable asset for nothing 12 months later would be unpalatable.